Orthognathic surgery is needed when jaws fail to align properly. This procedure is done in conjunction with orthodontics. After braces have straightened the teeth, jaw surgery then corrects the misaligned jaw. Once orthodontic treatment has been initiated, we will work closely with your orthodontist to achieve a result that includes an enhanced facial appearance and a guided, functional bite. A comprehensive examination is performed and diagnostic records are gathered using state-of-the-art imaging techniques. Drs. Neal, Leonard & Sorensen can then formulate a personal treatment plan for you, and can show you exactly how your surgery will be approached. We can illustrate how your bite and overall appearance will be improved. 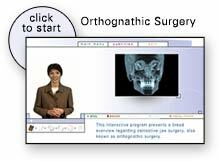 Our goal is to help you understand the surgical process and the benefits of orthognathic surgery. At Neal, Leonard, and Sorensen Implant, Facial, and Oral Surgery, you’ll have the added benefit of having Drs. Neal, Leonard & Sorensen working together as a team on all orthognathic surgery cases. Together, they can provide the best possible surgical experience and an excellent result for you. Corrective Jaw Surgery from AAOMS.org on Vimeo. For more information about Jaw Surgery or to schedule a consultation with Dr. Neal, Dr. Leonard and Dr. Sorensen, call one of our convenient locations: Kirkland Office: Kirkland Office Phone Number 425-825-7575 | North Seattle Office: North Seattle Office Phone Number 206-363-3010 | Downtown Office: Downtown Office Phone Number 206-621-9047.